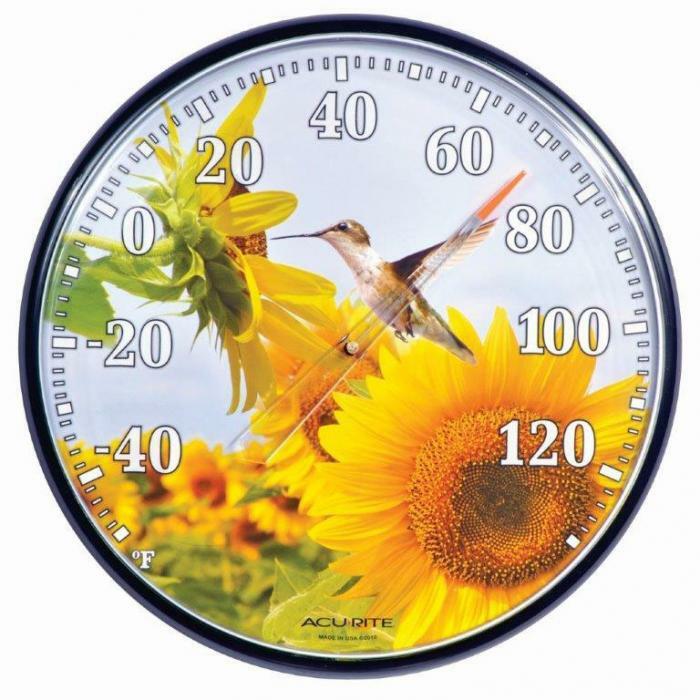 Sunflower Hummingbird Thermometer is 12.5 inches diameter. Plastic case. Plastic lens. 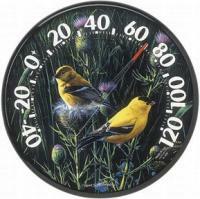 Measures temperatures from -60 degrees fahrenheit to 120 degrees fahrenheit. Measures in only fahrenheit. 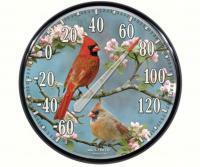 Durable, weather resistant construction. 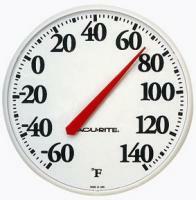 Bi-metal coil thermometer. Integrated hang hole for easy mounting.